Pros: Small(easily concealable), portable, 2 percs which make it smooth and tastes good, rips fat, perfect for anyone. Cons: Its easy to get water in your mouth if you dont fill it right, thin glass but isnt a problem if you arent clumsy. Pros: It has a nice honeycomb perk. Cons: It needs something to keep water from getting in your mouth. The nail is to big for the stem. 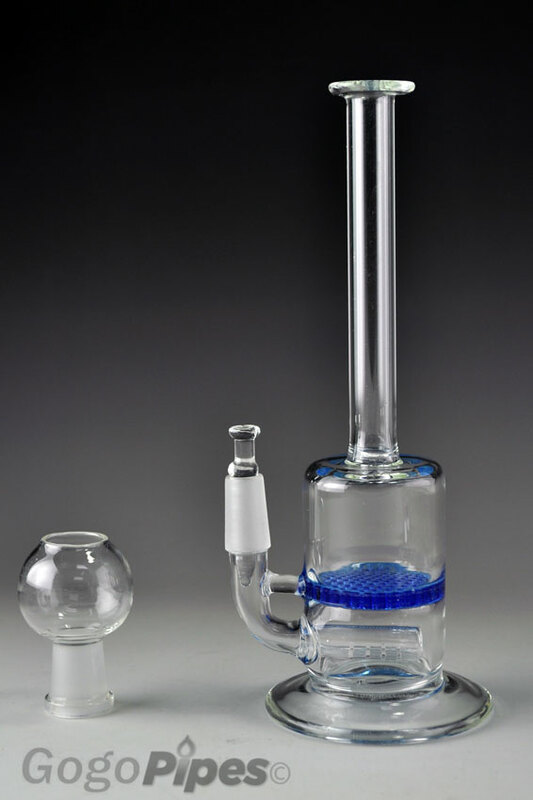 Comments: Maybe make the bottom bigger and put some kind of water catcher and a quarts banger then I think it would be excellent. Pros: Looks very sleek and clear. Works well. Cons: Order took over 2 weeks to receive. When I called customer service they were very rude and kept putting me on hold. I called 3 different times. Once I hung up because I was on hold so long. Every other time they kept telling me to keep waiting and that they didn't know where it was. I wasn't offered a refund or a discount. Pros: Fantastic piece, it's simple, small, and does it's job like a champ. Cons: After a few days the nail began to get hairline cracks through it and after about a week a piece broke off. Kinda expected this though cause it's only glass. Comments: Buy some replacement nails when you order this, or better yet upgrade your nail to something more durable. Pros: This thing is smooth, and for they money you can't beat the quality. Cheap and good, Nuff said. Comments: Great little rig for the price, I would recommend upgrading to a titanium nail tho. Cons: The glass nail is a consumable item which will need to be replaced for a more durable nail such as quartz.